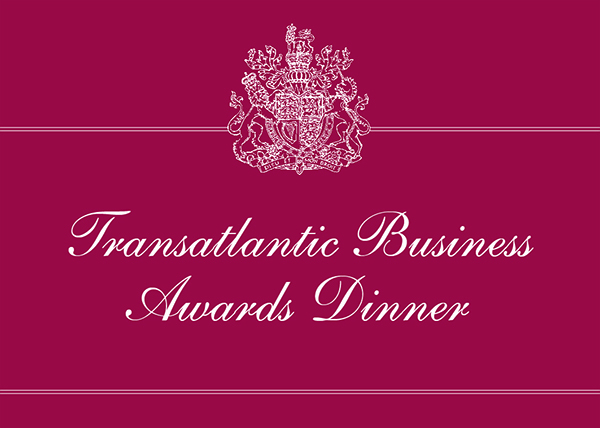 UK Transatlantic Business Award | Alex Gourlay | Walgreens Boots Alliance, Inc. US Transatlantic Business Award | Mark Pigott KBE | PACCAR Inc. US Transatlantic Business Award | Richard T. Clark | Merck & Co., Inc.
Special Leadership Award | Daniel Glaser | Marsh Inc. Entrepreneurial Award (US) | Ratan Tata | Tata Sons, Ltd. Entrepreneurial Award (US) | Jules B. Kroll | Kroll Inc. Entrepreneurial Award (UK) | Bill Whitely | Rotork plc.